For Jill Glick, M.D, who specializes in child abuse pediatrics, social work goes hand in hand with medicine. 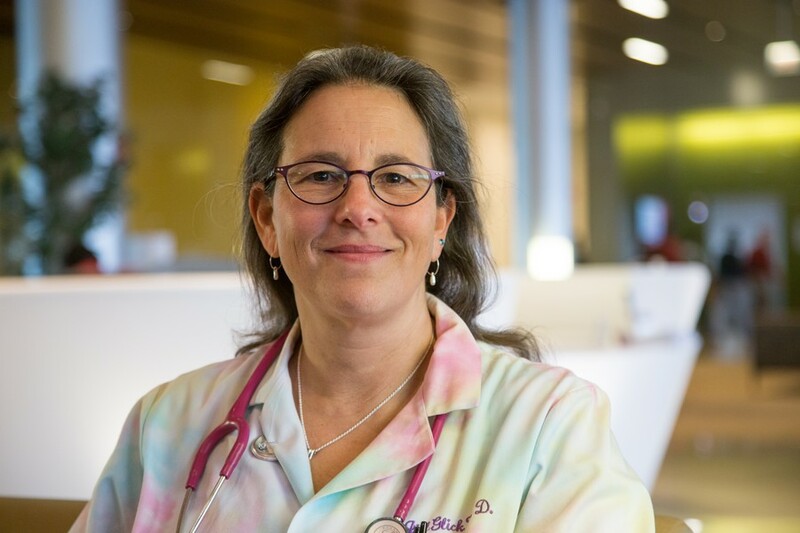 Glick works at Comer Children’s Hospital and has devoted her career to pushing the young subspecialty of child abuse pediatrics toward full legitimacy within the medical profession. In addition, she has worked to improve communication between doctors, law enforcement officers, and social service workers from the Illinois Department of Children and Family Services (DCFS). Glick established the Child Protective Services (CPS) team at Comer in 1993 and has spent the past 20 years helping develop the field. Child abuse pediatrics achieved subspecialty status from the American Board of Medical Specialists in 2009 thanks in large part to her efforts. She realized the consequences of poor communication between doctors and law enforcement early on in her career. While working as an ER physician, she met four children with abuse-related injuries that were mistakenly labeled as accidental. Three of those children died as a result of further abuse and neglect. “That was a wake-up moment. There was no communication between what doctors were saying and what police officers were finding,” Glick said. To solve this problem, she envisions child protection centers similar to trauma centers, but with a particular focus on child abuse. “There would be a medically directed interdisciplinary team: child abuse pediatricians, social workers, and subspecialists who all internally collaborate on cases. We’d have our own DCFS investigator, our own liaison or police assigned,” Glick said. She advocates for a statewide digital database of patient files, which would eliminate the inefficiencies caused by outdated modes of communication among social service workers. Critics of her program often point out its costs. She firmly believes, however, that the initial investment would reduce inefficiency and save money for the state in the long run.